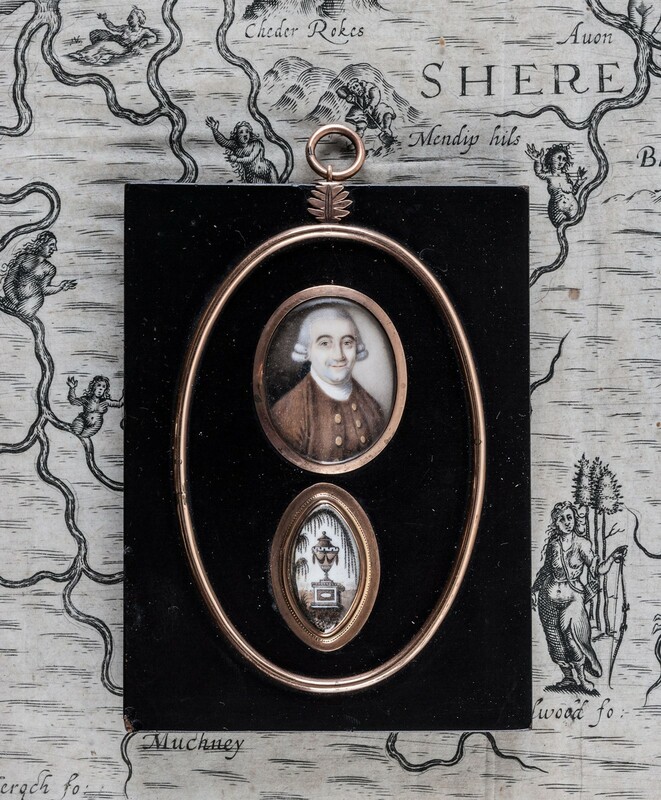 A grisaille portrait miniature of William Smith set above a another of a memorial urn beneath a weeping willow, the two images within a gilt metal oval all mounted within a paier-mache and black lacquer slab frame. 3 1/8 in x 4 1/4 in. 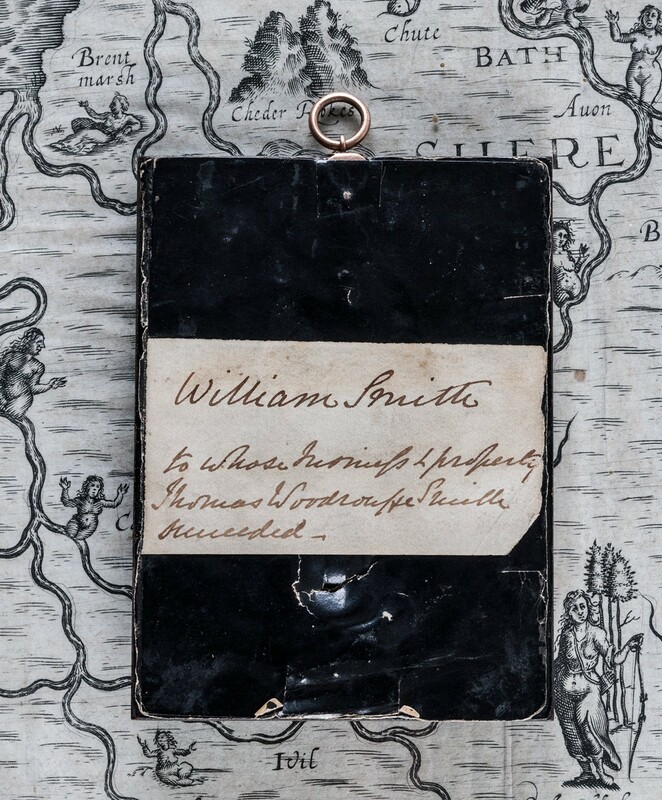 A label to the reverse written in script ink; 'William Smith to whose business and property Thomas Woodrouffe succeeded. 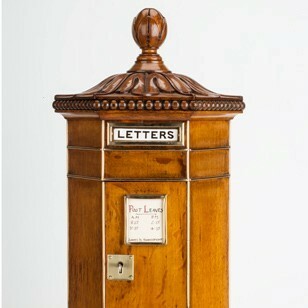 English circa 1790.